If someone showed a photograph of the famous Cuernos massif (Torres del Paine National Park, Chile) like the one below, it would be - probably, hopefully - obvious to everybody that something is wrong with the picture. Our eyes and brains have seen enough mountain scenery that we intuitively know how steep is 'steep' in alpine landscapes. 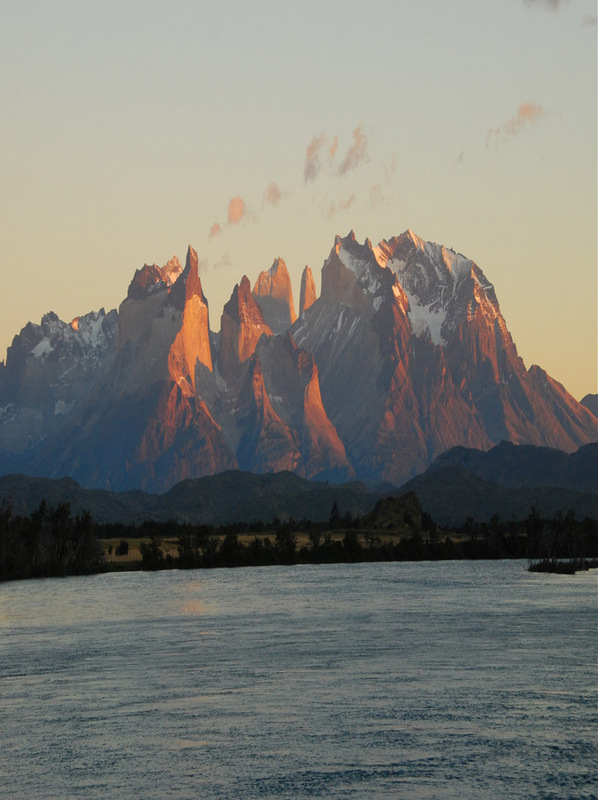 The peaks in this photograph just look too extreme, too high if one takes into account their lateral extent. 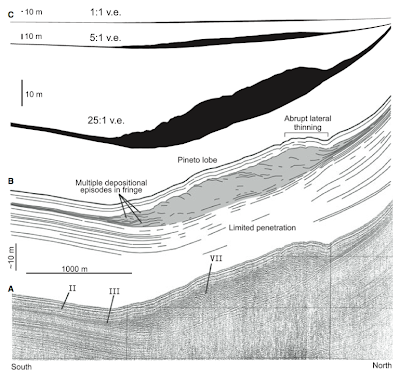 The problem is that the velocity of the wave varies as it goes deeper (usually increases with depth as rocks become 'harder'); and, unless we are looking at perfect layercake stratigraphy (not that common! ), it also changes laterally. 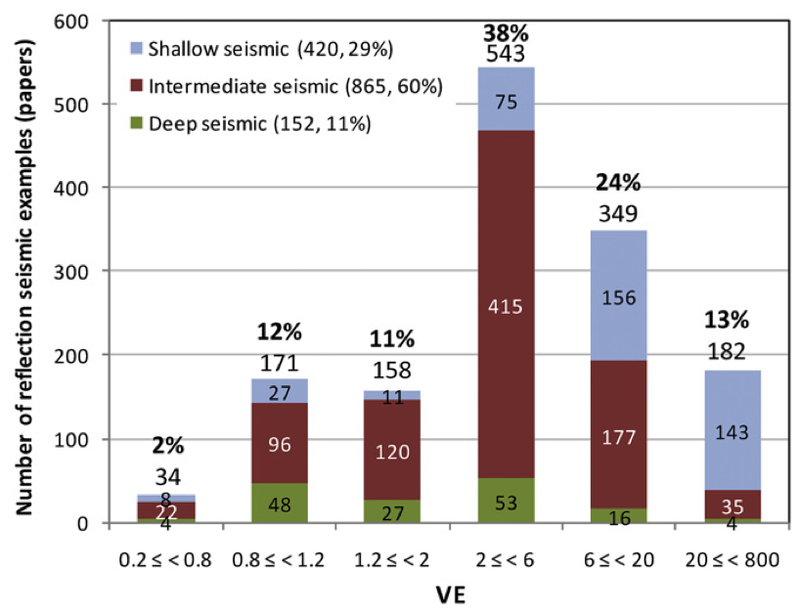 So, if we want to look at the actual geological structures, without distortions due to varying velocities, we need to do a depth conversion and we need a 'velocity model' that roughly describes the spatial distribution of velocities. 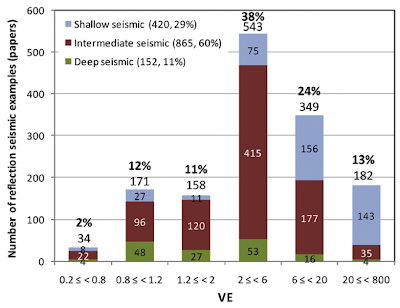 Precise velocity measurements often come from wells where depth is well known; less precise estimates can be backed out from the seismic recordings themselves, but the solution is often non-unique and multiple iterations are necessary to build a good velocity- and depth model. As a result, seismic reflection data is often interpreted with two-way traveltime on the vertical axis, without depth conversion; and not knowing the true vertical scale makes it easier to use vertical exaggeration with vengeance. A great post. Those references are great... I especially love that multi-scale figure from Deptuck. Definitely seems like a best practice (if there is such a thing). The figure is also a good reminder: 'flat' is a bit relative. 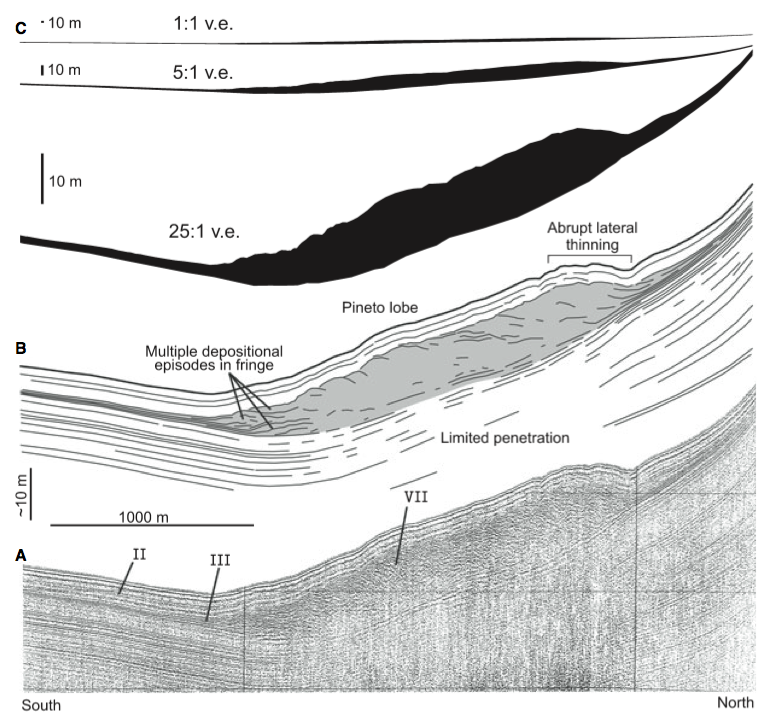 As you point out, depositional dips are small: a delta front slopes at less than a degree, but can sustain a gravity flow. Anyway, thanks for the insights. Nice post. Although I have to say that stretched photo of the Cuernos massif looks awesome: like something from the cover of a lurid sci-fi novel. The stretched clouds look a little uncanny, but the rest of the stretched Cuernos shot is strongly reminiscent of an Albert Bierstadt painting, and therefore quite pleasing to my eye. I was hesitant to vandalize the Cuernos the way I did... Glad to see that the photo is not that appalling. This might be nonsense, but the stretched Cuernos mountains gives the 'impression' the photo was taken with a different (longer) focal length. Curiously, it seems to 'deepen' the subject, as well as elongate it. Vertical stretching is done routinely (and perhaps haphazardly) not just with 2D seismic, but also with 3D objects (fault planes / patterns, surfaces, geobodies, etc). In these cases, I wonder if 3D objects, like the mountain photograph with a perception of depth, might be subject to the same curious visualization effect (illusion?). This is a nice post on the difference between merely drawing on the data and actually interpreting it. @Ebianco: When I volume-interpret, i.e. interpret in 3D, I normally vertically exaggerate the data so I can see faults and subtle features better. However, when I display the interpretation to colleagues, I show them what it looks like at 1:1. Again, a geobody is a multiple-z-value amplitude extraction seen in 3D; like a fault, horizon or anything drawn on the seismic, it will display at the scale you choose. Good point about 3D seismic - it didn't occur to me that the problem is pretty significant there as well. I just realized I rarely show the 1:1 version when displaying data in 3D. I suspect a direct cause of naive layfolk concluding that California was imminently falling into the Pacific. Great article! When can we expect your WOGE#296?